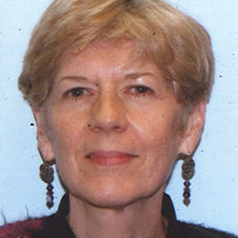 Elizabeth Rechniewski is Chief Investigator on the Australian Research Council (ARC) Discovery Project: Judging the Past in a Post-Cold War World (with Read P, Vickers A, Keene J, Wyndham M). This project examines the ways in which the end of the Cold War affected a number of countries: Chile, France, Indonesia, and Spain, whose political, ethical and intellectual systems were predicated on Cold War polarities. Using a comparative lens, the project investigates on what grounds, by what means, through what media and to what effect, these key sites on the 'front line' of the Cold War, have sought since 1989 to reconceptualise their pasts and re-evaluate critical events and individuals. This project develops her research in the area of memory and commemoration: over the last decade she has published widely on remembrance of 20th century war in Australia, France and New Caledonia, including on the commemoration of the role of indigenous soldiers in these countries. With Matthew Graves (Aix-Marseille University) she has co-written and co-edited several articles and two issues of Portal on 'Geographies of Identity' and on the nexus of scientific, institutional and colonial interests at work in the speculative mapping of Australia in the 1830s.